The Bart J. Ruggiere Adaptive Sports Center provides people with disabilities and their families the opportunity to enjoy outdoor sports, with a special focus on snow sports. The Bart J. Ruggiere Sports Center will provide individuals the opportunity to do sports regardless of their cognitive or physical disability. The program is available to children and adults throughout the Northeast. The latest in adaptive equipment and teaching methods will be used. 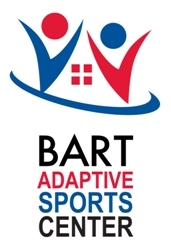 ﻿The adaptive ski program that is now the Bart Adaptive Sports was originally established in 1999 under the auspices of the Bromley Ski School. The program had a core of four volunteers that received their certifications in teaching skiing to people with disabilities. In 2002, the adaptive program moved its operations to the Bromley Outing Club and became the Bart J. Ruggiere Adaptive Sports Center. In 2005, the Center became its own entity, became a chapter member of Disabled Sports USA, and separated from the B.O.C. To this day, three of the four original volunteers still teach or work at Bromley including one that is now the Center’s Director, Joe Hurley. In 1999, the adaptive program helped 4-6 students per year and operated only on weekends and holidays. At that time, most of the program’s clients had cognitive disabilities. In 2002, the program had grown to 75 lessons per year and still operated only on weekends and holidays. Today, Bart Adaptive Sports programs deliver 375+ winter lessons and 75+ summer experiences to people with cognitive and/or physical disabilities. The program has one full time and one seasonal part time staff member and relies heavily on its trained volunteers to make Bart Adaptive Sports the desired destination for people with disabilities to participate in outdoor sports in New England. Bart Adaptive Sports was named after Bart J. Ruggiere, a young man whose life was taken from us on September 11th during the World Trade Center attacks. Bart loved to ski at Bromley with his family and friends for nearly 20 years. His family and friends formed a foundation in Bart’s name to help support people with special needs through an adaptive sports program at Bromley Mountain and their initial generosity has been one of the main catalysts for our success.